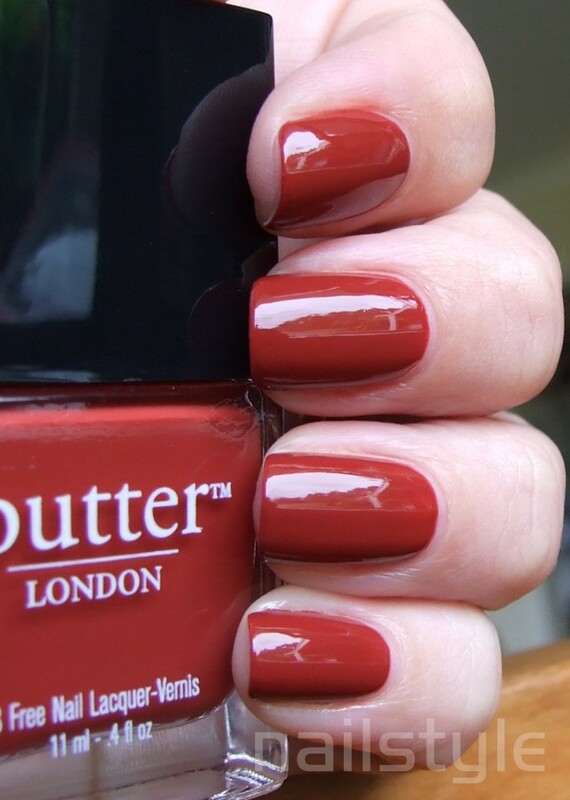 Today's polish is Butter London Old Blighty (love the name!). I would describe this is a rustic brick red creme. Old Blighty has a very gel like formula and applies easily. I find the Butter London brushes very easy to load up and manoeuvre. This shows three coats just to tidy up and make sure my entire nail is opaque. I'm also trialling Zoya Remove polish remover. My thoughts so far are that I definitely do not like the smell which is extremely overpowering and the formula is not as moisturising as OPI Expert Touch remover. Also I've changed the width of my blog page to enlarge the photos (as per your requests!) Do you prefer the larger pictures or is smaller ok? Do they take too long to load? Your comments appreciated! Lovely! It's the color of old brick buildings! I like the bigger pics-loaded just fine for me! This is a great color!